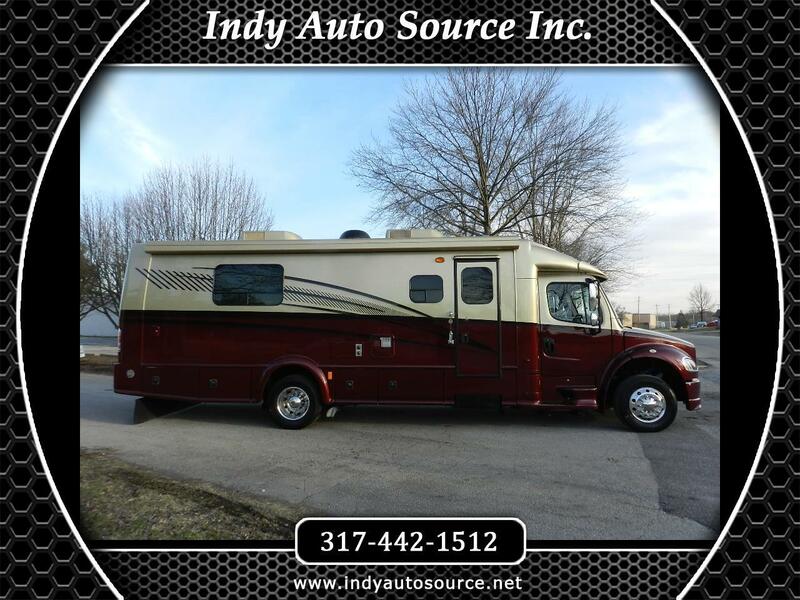 Used 2011 Dynamax DynaQuest for Sale in Carmel IN 46032 Indy Auto Source Inc. Virtually new condition 2011 Dynamax DYNAQUEST 302 ST with only 3,500 miles per year of use. Premium coach featuring a 325 Cummins Diesel, Allison Transmission, solid cherry hard wood floors, bathroom door and cabinets. Additional features include; full custom paint work, solid polished alloy wheels, solid Corian countertops, dual burner stove, stainless Convection Oven/Microwave, air ride, automatic leveling, Cummins Diesel generator with 36 hours of use, flat screen tvs with 6 speaker Sony surround sound, Sony Blue Ray DVD, roof mounted in motion satellite, power awning, dual roof mount ACs with heat pumps along with gas furnace, air ride front seating, premium audio with navigation, rear camera along with right and left view camera that works with the turn signals, outside shower and cd stereo. Southern owned with zero under body rust or corrosion. Financing is available. Apply online at indyautosource.net. Call Craig Miller today at 317-442-1512 to schedule a test drive. Be sure to read our customer reviews on both Cars.com Dealer Reviews and Google Reviews by using our links located in the top right corner of our homepage at indyautosource.net. Premium vehicles fair pricing and no hassle shopping. Save hundreds with no surprise dealer profit fees such as; Documentation, Loan Origination Fees, Etch Theft Protection, Dealer Prep or Nitrogen in the tires. Deal direct with the owner Craig Miller 317-442-1512. Message: Thought you might be interested in this 2011 Dynamax DynaQuest.